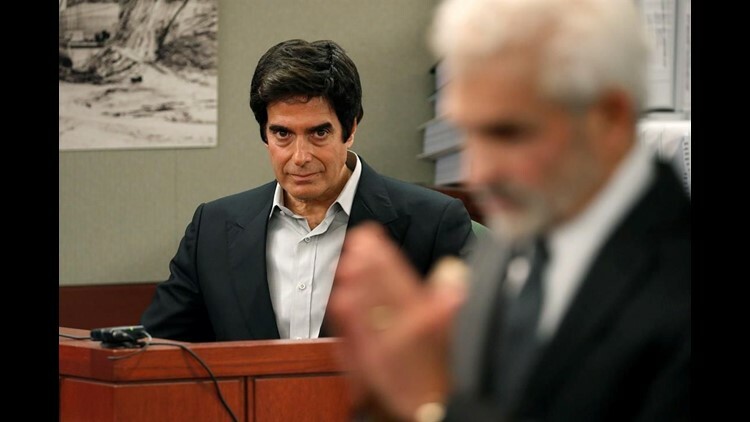 LAS VEGAS (AP) — Las Vegas Strip headliner David Copperfield is due to return to the witness stand in a lawsuit by a British tourist who claims he was seriously hurt in a fall while taking part in one of Copperfield's signature illusions in 2013. The magician resumes testimony Tuesday after last week revealing secrets behind a trick that appears to make volunteer audience members vanish onstage and appear a few moments later in the back of the theater. Plaintiff Gavin Cox of Kent, England, alleges he fell after being hurried by stagehands through an MGM Grand hotel alleyway coated with a powdery residue near a trailer-sized trash bin. Cox and his wife are seeking unspecified damages in their negligence lawsuit.